Aubergines 58%, extra-virgin olive oil, stoned green olives 13%, sunflower seeds 10%, capers, apple vinegar, sea salt, red hot pepper. 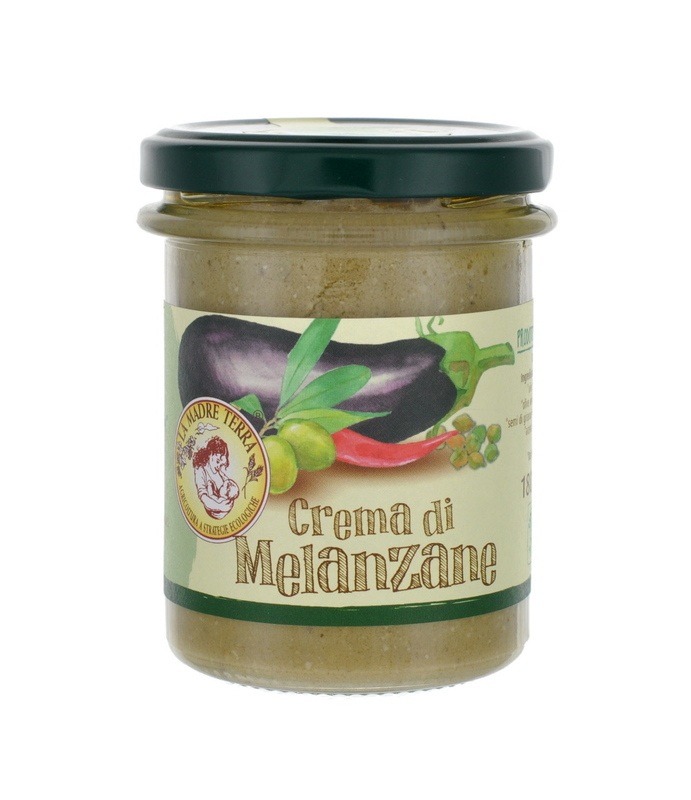 It is a medley of wisely and carefully combined flavours that enhance all the taste of fresh season aubergines. As the whole line of products, this cream will surprise you with the natural and authentic taste of the vegetables. It is excellent to prepare tasty canapés and to enrich any of your recipes.